Advancements in cancer therapy are helping more patients live longer during and after treatment, but many patients and their families say they need additional assistance to manage the side effects that come with treatment, including fatigue, muscle weakness and psychosocial issues. To help bridge that gap, Vanderbilt-Ingram Cancer Center has launched the Cancer Wellness Program. The new endeavor started with just a few services but has now expanded to include rehabilitation services, wellness classes, integrative health options and survivorship tools. A new Vanderbilt Lymphedema Therapy Clinic has opened for patients who experience tissue swelling following cancer treatment. Lymphedema is most common among patients who experience trauma to their lymphatic system, such as those undergoing lymphatic node dissection or radiation therapy. Swelling of the arms, legs, torso or face can occur. Vanderbilt has specially trained physical therapists who perform targeted manual therapy to help the lymphatic fluid drain away from the affected area to control swelling. For patients interested in exploring the mind, body and spirit connection, the Cancer Wellness Program offers courses through the Vanderbilt Center for Integrative Health. Services include acupuncture, massage therapy and mindfulness practices like meditation, mindful eating and techniques for cultivating joy in life. 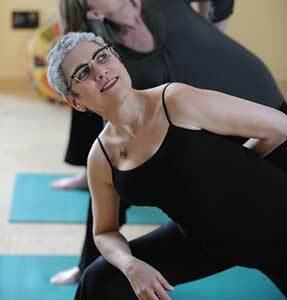 The program also offers “RENEW” classes, featuring gentle movement and fitness sessions for cancer patients, through the Vanderbilt Dayani Center (see below). For more information about making an appointment at the Vanderbilt Lymphedema Therapy Clinic, call (615) 343-7400. For information The Vanderbilt Center for Integrative Health, call (615) 343-1554. Vanderbilt-Ingram Cancer Center’s Cancer Wellness Program is offering fitness and gentle movement classes for adults (18 and up) in the community who are currently in treatment for any type of cancer. The RENEW classes, taught by certified instructors experienced in working with cancer patients, are offered at the Vanderbilt Dayani Center and are designed to accommodate people at various stages of treatment. 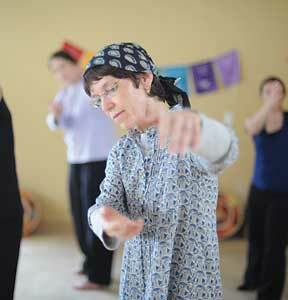 The therapeutic movement classes – including yoga, tai chi and qigong – provide benefits like improved stamina, balance, relaxation and stress reduction. Participants may be self-referred or referred by their doctors; however, a physician clearance is required before beginning the exercise program. One family member, friend or caregiver is welcome to attend with the patient. Classes are free of charge to patients in treatment and for a period of 12 weeks after treatment. At that time, participants can purchase a punch card for $64 for eight classes or pay a drop-in fee of $10 per class. To register or request more information about RENEW classes, call (615) 322-4751. This mind/body class combines the movements of the ancient art of Tai Chi and the soothing effects of water to help improve balance and promote relaxation and flexibility. It uses 16 postures to move the body thorough its full range of motion, as well as breathing exercises to encourage relaxation. This class involves slow, gentle, range-of-motion movement designed to improve balance, increase muscle endurance and reduce stress. This class will support the body with props, alternating gentle stimulation with deep relaxation to help move toward balance. Poses are designed to reduce the effects of stress, stimulate immune response and heighten a sense of well-being.